The ROG G20 Compact Gaming Desktop PC sports some seriously good looks that totally appeals to gamers. I know, because, I asked one and he was totally fawning over it. And no, it’s totally not a bias opinion. But besides the looks, the G20 thus deliver pretty stellar computing performance as expected of a gaming PC, and does so in a small form factor (SFF) case, although with a few drawbacks, which we will cover more in the review. The G20 was provided on loan by ASUS and here’s my take on the unit. If you couldn’t tell from the introduction, I like the looks of the ROG G20. One glance at it and you know it means business, with the matte black / red finish, aggressive alien style design and LED lighting features. The G20 is meant to be placed vertically up, and its bold design are just calling out for the G20 to be shown off and not tucked away in the corner. And why not? Kudos to ASUS who did well with the casing. I like that it is not boxy like a typical PC. Instead, it went with aggressive angular lines that is visually appealing. There’s a good attention to detail, down to the front optical drive unit and USB ports being styled red to match the overall design. From the front, you would notice the alien looking patterns or Mayan-like glyphs that are filled with red accents that add an aggressive edge to the PC and these patterns extend all the way to the top and bottom of the casing as well in a matte grey tone. By the way, this chassis is small, measuring about 13 by 4 by 14 inches, smaller than typical tower dimensions. It is just slightly bigger than a console. If you are a gamer, it will blend right in with the rest of your other equipment, like your gaming mouse, keyboard, headset etc. I understand that ASUS would also be providing a keyboard / mouse combo as part of the combo which matches a similar design style, with backlighting features on the keyboard as well. 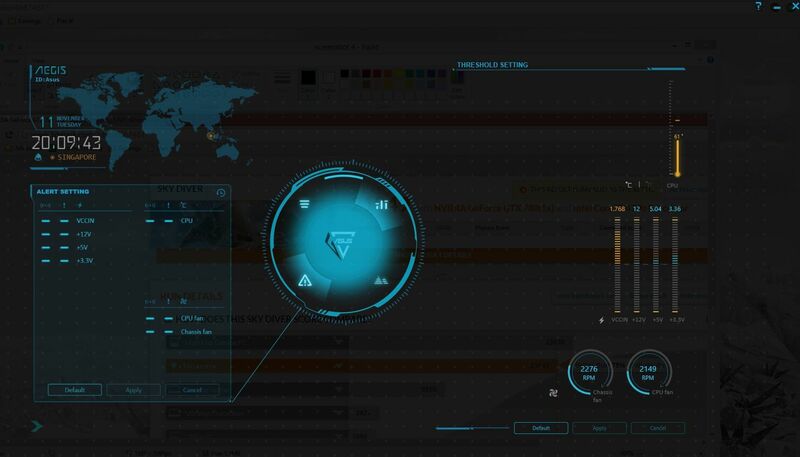 There’s also customisable lighting, which can be adjusted with a Windows application. Tons of colours to choose from (apparently up to 8 million) and you can adjust three different set of lights (left and right on the front panel, and the lighting that emits from the bottom of the casing). There’s also a breath lighting effect, but that works only when the PC is in sleep mode. One quirk is that the G20 needs two external power supply units. This removes heat and the space of the power supply from the chassis. Typically most people would hide it on the floor, but make sure you give it adequate ventilation. More cables means more mess though. And you would need to hunt for a power strip or multi wall outlet. As it is, I had to unplug my current computer to test the G20 and I only manage to free up one power socket, which isn’t enough. With the added power cable requirement, this is an inconvenience but could be workaround with a multi-plug. Perhaps ASUS could have bundled a bridge adapter (perhaps with surge and overload features) to the dual power supply unit, so that there’s only one power cord required. 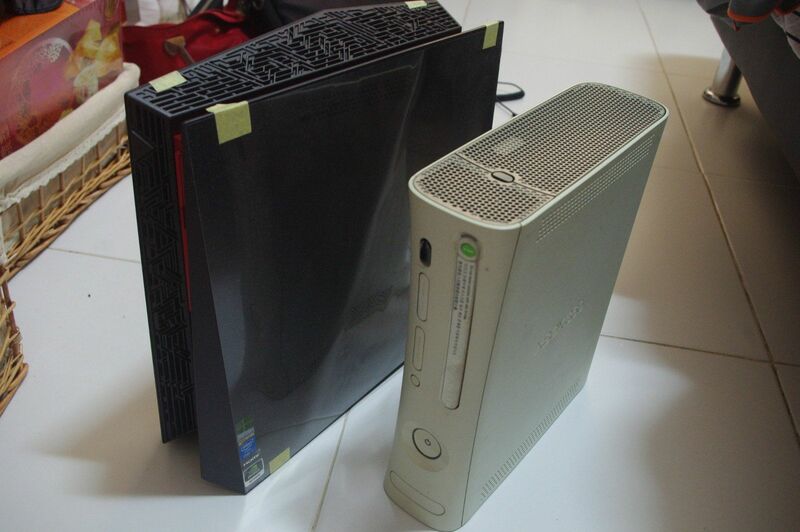 The other issue is that most gamers traditionally DIY their own PC and typically extend the life of their gaming computers with incremental upgrades over the years. The ROG G20 isn’t really build with that in mind. Upgrades are not possible, at least officially, although that means warranty would not be recognised if you tamper with it. So it looks good, but what about performance? 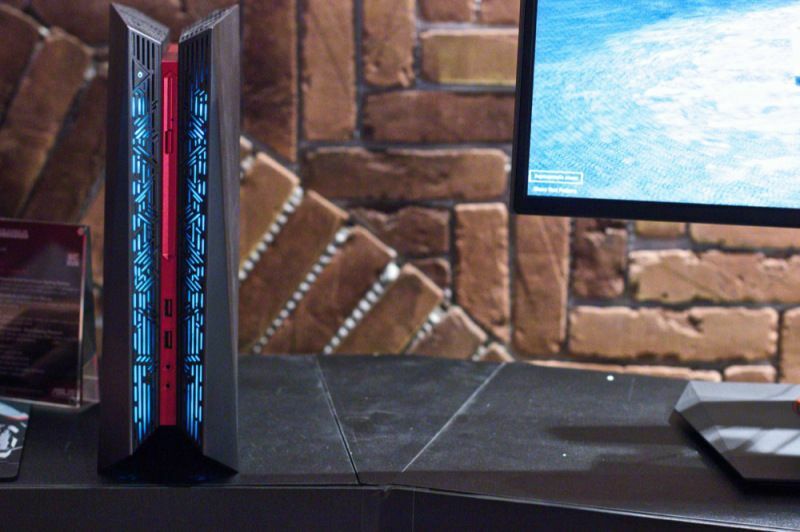 For it’s size the ROG G20 manages to hold a full-size, double-width graphics card, which is like pretty much the entire bottom half of the PC. Definitely no dual graphics card, SLI capabilty here. If that’s what you are looking for, this PC is not for you. Still, when fully upgraded, the G20 is quite the powerful unit, with the Intel Core i7 processor, and GTX 780 graphics card, but do take note that as of November, the fastest graphics card in the market is the GeForce GTX 980, one generation newer than the GTX 780. The GTX 780 is still more than capable for current generation games and shouldn’t really have a problem with next gen games for the next one to two years? But personally, the ROG G20 handled all the games I threw at it pretty well. I don’t honestly game much, and the most intensive game I ran on the G20 besides the benchmarks was TitanFall. I last tested the same game on another Asus computer, the G771 and while the G771 saw some dropped frames when I bumped up the anti-aliasing, there wasn’t any problems on the G20. It handled the game very well at the highest settings with 16xMSAA at a full 60 fps, and that’s also because I kept vsync on. I liked the power efficiency features that ASUS had included. Yes, I want high end power gaming performance, but I also use my computer for more than just gaming. At those times, I want to do my part to reduce energy consumption, and also to reduce the size of my monthly electricity bill. 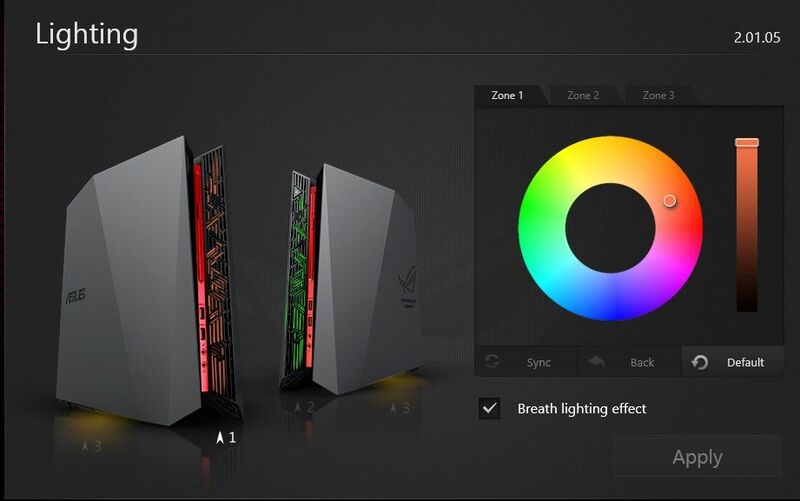 ASUS introduced an eco-energy mode, which offers the ability to leverage on the onboard graphics card to drive the computer graphics in an “Eco Energy Mode”, instead of the power-hungry GTX 780. Pretty useful – this drops the G20 to around 25-30W power consumption, and as low as 10W when the display is sleeping. It’s perfect for when I am downloading games or when using the computer for web surfing or typing articles like this. You don’t need a GTX 780 all the time. However, activation of such a mode is limited to when your monitor is connected via the onboard HDMI output. The PC uses LucidLogix Virtuwatt software, which is pre-installed, to handle the switching. Gamers typically eschew wireless over wired connections due to latency and bandwidth limitations. The G20 does use an Intel Gigabit Ethernet which should offer decent performance but I didn’t test it out. Instead, I went for the wireless route and I was pretty pleased with the connection still. My laptop which has Wireless-AC chipset typically sees speeds of around 50-60mbps (via Speedtest.sg), wheras the G20 was pretty consistent at around 80-90 mbps. ASUS also included a software termed ROG’s GameFirst II with cFosSpeed traffic-shaping technology. It offers ability to determine and allocate traffic priority. I think most gamers might prefer to do it at the router level, but its useful for people who don’t want to meddle too much. The PC runs on Windows 8.1 but it will also be able to run on SteamOS when available. ASUS emphasize quite a bit on the ASUS Aegis application, which lets you monitor CPU performance, memory usage, internet download and upload speeds and also set temperature and voltage thresholds. It’s nice but I feel that the design is a little too cluttered and the many animations just slows it down and it feels clunky to navigate. It runs as it’s own application and not an overlay over the desktop. There’s an option to minimize it to a widget but doesn’t look that attractive. Other than monitoring temperatures, I don’t think its that useful. For a small casing, thermal management is going to be important. The only fan ducts are located on the middle strip, top of the casing. Yet, it actually runs pretty cool even while gaming. The CPU and Chassis fans were at pretty low RPM (500 – 1000 RPM) when the desktop is just running normal applications and I couldn’t really hear them, unless I am like right next to it. The GPU fan does not appear on the monitoring chart. The system fans spin up to an audible whirl when gaming, approximately about 2000 RPM, but its bearable, and you wouldn’t really hear it through the usual gaming sounds anyway. Temperature under gaming is around 60 degrees in a non-air conditioned room. Although if you are playing a horror game, that might not apply. And just for FYI, the G20 actually works (even for gaming – Call of Duty no less) when the CPU fan is not working. Not something you would want to try though! I’m just saying that there is something right about the thermal flow. ASUS announced that the ROG G20 had undergone a spec refresh and will now include the latest NVIDIA® NVIDIA GeForce GTX970 4GB DDR5. Pricing remains the same. 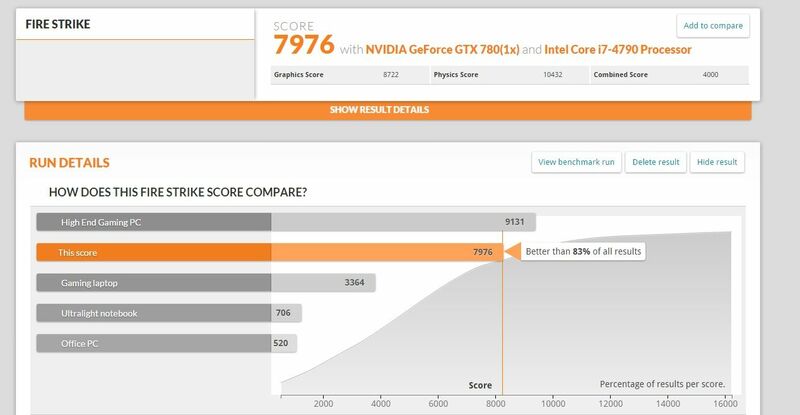 The GTX970 is a great upgrade over the original GTX 780. Simply, you get more RAM, 1GB (comes in handy for higher resolution gaming), lower power consumption on the GTX970 means less heat, more efficient system, and slightly faster too with the improved architecture. A great upgrade all around. The refreshed ROG G20 gaming desktop will be retailing at S$2,699 (same as previous) from now onwards bundled with a keyboard and mouse, with every purchase receiving a complimentary Assasin’s Creed Unity game (worth $74.90). Spec to spec, a similar configuration computer would probably save you about 17%-20% as compared to the ROG G20. The comparison price was based off something I put together rather quickly. 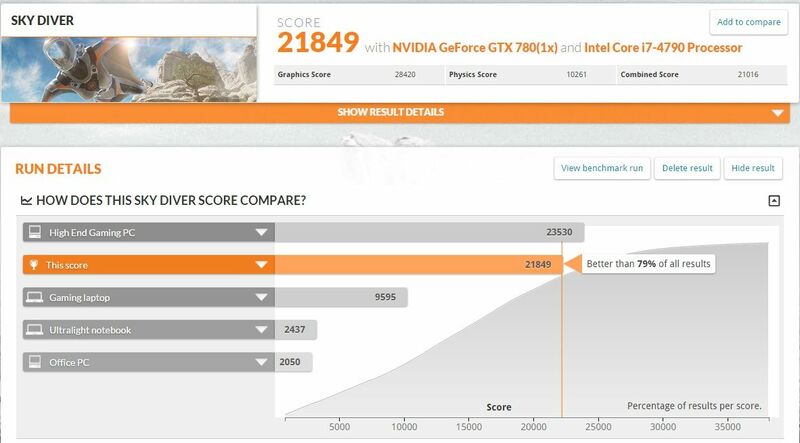 The GTX 780 is comparable to the new GTX 970, which you could choose as well to bring down the price. However, it is worth factoring that the G20 is a pretty well built system, with a nice looking casing, with cooling taken care of and a small footprint that DIY just cannot match. Notwithstanding that you also get a fully integrated system with warranty and support from Asus. So… to sum it up, the Asus ROG G20 looks good, has the performance ability, although one generation older single graphics card, and has a number of additional features targeted at gamers which you can choose to deactivate, with the major setback being the inability to upgrade. One disclaimer though, I have been DIY-ing PCs since I was a kid, but I typically go for the budget route and I hardly deal with such top of the generation computing gear, so my opinion may seem a little overawed. Ultimately, I don’t deny that the ROG G20 looks good and performs well. It is priced at a premium, but not without its merits. Now G20 with GTX980 (4G DDR5) is available!